When would you like to stay at YHA Scarborough? Whether you love traditional seaside arcades or epic coastal scenery, the North Yorkshire town of Scarborough has something for everyone. Don't miss the atmospheric castle on the cliff, the educational SEALIFE Centre and the Victorian spa area. 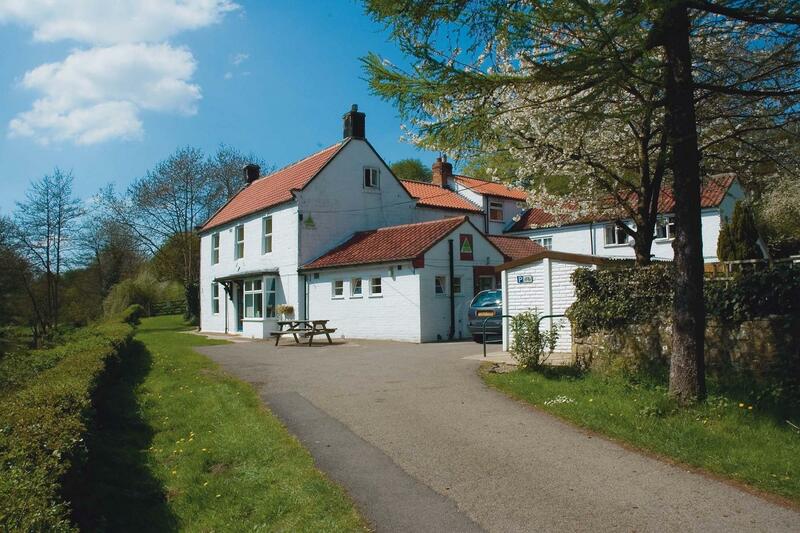 The hostel is down a quiet driveway, set in a small woodland on the bank of a small river. There is a private garden, a large car park and secure bike shed. Take a look at the local information on our walls, curl up with a book in our comfortable lounge, or have a play on our piano. There's a woodburning stove too! A continental breakfast is available in the morning for groups, as well as packed lunches and evening meals prior arrangement. You'll also find places to eat nearby the hostel and a well-equipped self-catering kitchen. North Yorkshire is criss-crossed by countless paths and bridleways allowing walkers of all abilities to explore cliffs, beaches, woods, forests and moorland. Dalby Forest, a National Mountain Bike Centre, is 15 miles from Scarborough. North Yorkshire has thousands of miles of quiet country lanes which offer a range of routes to suit all abilities and levels of fitness. Try indoor climbing at the brand new wall in The Street or little used spectacular, sea cliff routes on the north side of Filey Brigg. Scarborough has two beautiful beaches, The North and South Bays, with Cayton Bay 5 miles to the south and Filey Beach just 10 miles away. Parking: There is a large car park, close to the building itself. In the 1600s, the hostel was one of three flour mills on Scalby Beck, a small river just outside of Scarborough. In the 18th century the wheel was removed, the mill race drained and the building was used as a farm house. Just after the First World War the derelict building was bought and converted into a boarding house. When it was opened in 1935 it was one of the YHA’s first hostels and the owner Mrs Atkinson was kept on as warden when YHA later bought the buildings. After numerous additions and alterations, an annexe was added in 1962 increasing capacity to 70 beds. YHA Scarborough was listed for closure in 2009, but continued to operate as a YHA hostel until Rob and Elise bought it in June 2013 as an Enterprise Hostel. Rob and Elise, the managers at YHA Scarborough, have stayed in hostels all over the world and now enjoy welcoming guests to their own hostel. Manager recommends:The North Sea – with a good wet suit body boarding and surfing are great fun or join the regular South Bay Sea Swimmers for a refreshing dip.